I am so GEEKED!!! After a two-year wait I’ve finally received my copy of Important World Artists Vol. 1! Published in California by World Wide Art Books Inc. This is a juried publication. I did not apply to be included in this book. I was invited to participate by the curator! This is not a vanity publication. I did not pay to have my work in this book, which makes it so much more exciting. I opened the book to search for my image and short bio, which I found posted on page 175. Books are such wonderful things. I had the book delivered to my brother’s house in the U.S.A. to save on postage. My hubby, my sister-in-law, her sister and boyfriend were sitting on the patio. I’d already had the book in my hands for a while. I was so happy to finally have the book in my lap. As I lovingly caressed my copy, and breathed in the wonderful aroma of the newly printed book, I turned the book over on my lap to look at the images on the back cover… and SCREAMED!! MY IMAGE IS ON THE COVER!!!! OMG!!! What were the odds that they choose my work to grace the cover of this incredible book?! I am so honoured to be on the cover of this book. Purchase the book on the World Wide Art Books site. This summer is even more of a whirlwind then last summer. I traveled to two Plein Air Festivals, and I think I’ve caught the bug. I want to go to more, and meet more wonderful people. The artists, and the members of the community in Dexter, Mi are all incredible and wonderful people. But, what was even more special this time is that I was able to share this event with two from my own group “The Windsor & Essex County Plein Air Society.” Kathy Hudak and Bobby Wagner. A River Runs Through It, Dexter, Mi Plein Air Festival -. Watercolour Arches paper 15″ x 10 1/2″ mat & Neilson Frame 20 x 16 $275. The Dexter Mill & Farm Bureau. Painting on location Sold! Joe Schultz came to Canada to pick up his painting of the Dexter Mill. The model railroad club steps outside to watch the evening train pass through Dexter on its way to Ann Arbour and Dearborn. Bobby Wagner is dwarfed by the passing Amtrack train. Kathy Hudak shows how to represent Canada in Dexter, Michigan! Bobby Wagner paints her quick draw at beautiful Mill Creek Park. Mill Creek Park off the board walk. The Windsor & Essex County Plein Air Society and I are privileged to be hosting another sketch night with the Arts Council, and the City of Windsor. Participants are asked to meet at the northernmost tip of Ouellette Ave by the Art Cart sign (close to the Bistro) at 4pm. Access to the free Art Cart on the trail is available from 4-7pm for participants to disperse in the Sculpture Park West of Ouellette Ave. Please bring all of your own supplies. There is no fee for this event but we do ask that you sign-up if you plan on attending. 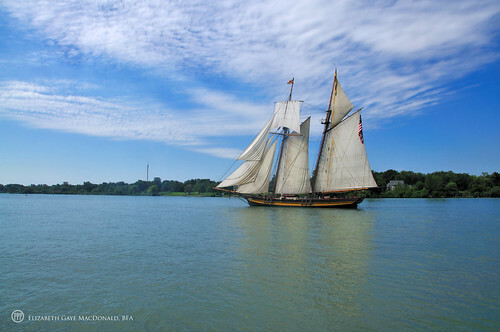 A partnership with Arts Council Windsor & Region, the City of Windsor Sculpture Park, Elizabeth MacDonald and Windsor & Essex County Plein-Air Society, this event is in coordination with the Southwestern Ontario Coastal Trails Sails to See TALL SHIPS® Festival. Questions? Please email outreach@acwr.net or call us (Arts Council) at 519 252 2787.